Welcome to the fold - Lift a strap with one hand and the Summt X3 folds itself: simply and compactly. It really is as easy as it sounds. 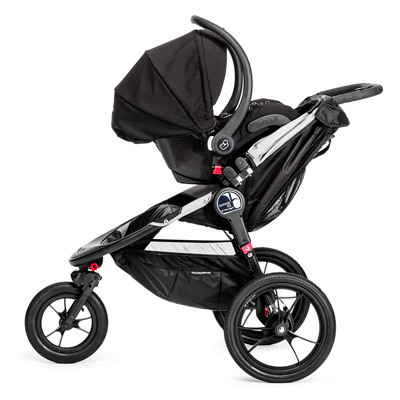 These seats were built for comfort - The Summit X3 seat reclines to a near flat position with vents and a retractable weather cover to make sure that your child is comfortable and safe while you stroll. Pump the Breaks The Summit X3 was engineered with active parents in mind. Our unique hand operated rear drum brakes offer increased control even in the most pressing situations. 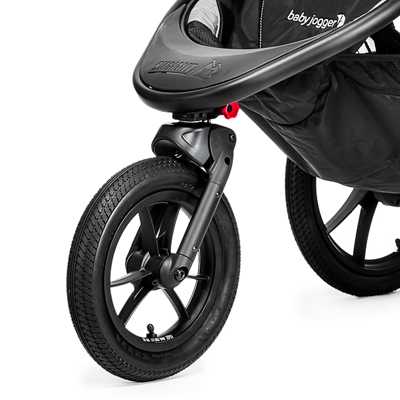 Lock it Up - Straight dash or casual stroll, the Summit X3 offers a remote wheel lock on the handlebar that lets you switch between swivel mode and a locked position for the front wheel. Switching between running and just running errands is now at your fingertips. All-wheel Suspension - Running over rough terrain is never a problem. 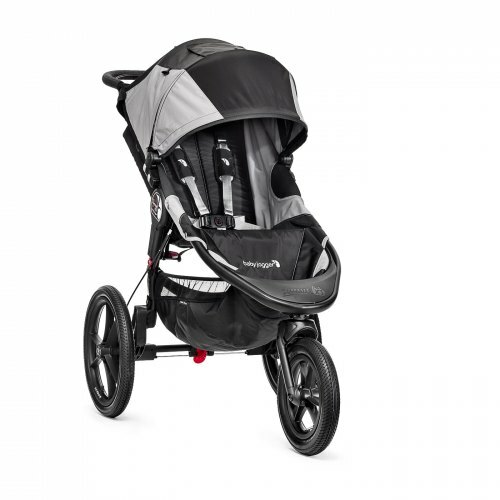 The Summit X3 has an independent all-wheel suspension that offers the smoothest ride on the block. 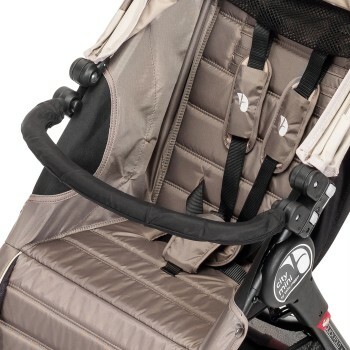 Travel System - The Summit X# can become a travel system in a heartbeat using the Car Seat Adapter. 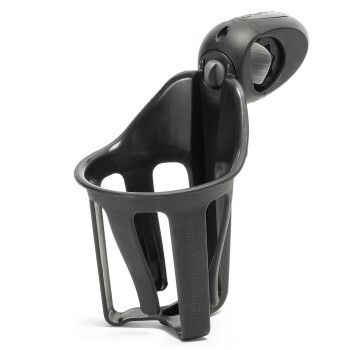 Just choose the adapter compatible with your car seat and you've got a customized travel system for your infant. (Car Seat Adapter sold separately). Stroller has the ability to carry ONE car seat. * Consult your pediatrician before jogging with a baby under 12 months old. Dimensions Unfolded: 44.5" x 25.5" x 39.5"
Dimensions Folded: 15.5" x 25.5" x 33.5"